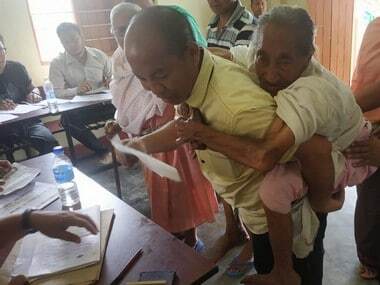 Agartala: Over 85 percent of electors cast their votes at the six polling stations where re-polling was held on Monday after the Election Commission (EC) declared void the polling at these centres on 18 February, a senior EC official said. 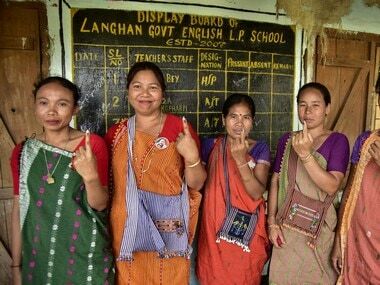 "Out of the 5,582 voters in six polling stations, over 85 percent cast their votes today (Monday) in the re-polling at these polling stations," Tripura Chief Electoral Officer (CEO) Sriram Taranikanti told IANS. According to him, no untoward incident was reported from anywhere in the six polling station areas spread across six assembly constituencies. One such polling station falls in Dhanpur segment (in western Tripura's Sepahijala district), from where Chief Minister and Communist Party of India-Marxist (CPM) politburo member Manik Sarkar is contesting. The CEO said the commission has also issued order that during the counting of votes on 3 March, the slips of VVPATs (Voter Verifiable Paper Audit Trails) of seven polling stations in seven Assembly constituencies also be counted, since their presiding officers did not get clearance from EVM (Electronic Voting Machines) control units for the votes cast during the mandatory mock poll before the start of actual polling on 18 February. The EC has also told the Tripura CEO that in four other polling stations in four Assembly seats, the total number of electorate did not match with the total number of votes recorded. "The Election Commission has also asked the returning officers of these four Assembly constituencies not to declare results without prior permission, if the winning margin is one vote," Taranikanti added. CPM Tripura State Secretary Bijan Dhar earlier criticised the Election Department for what he called "criminal negligence" regarding polling on 18 February in 59 of the 60 Assembly seats. 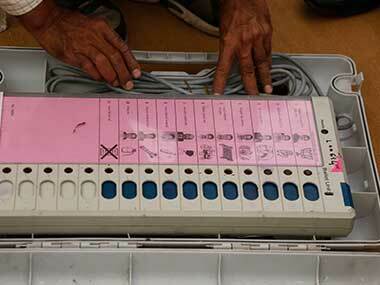 "Due to technical problems in EVMs-VVPATs, the voters suffered inordinate delays in casting their ballots...(in some cases) till 18 February midnight. 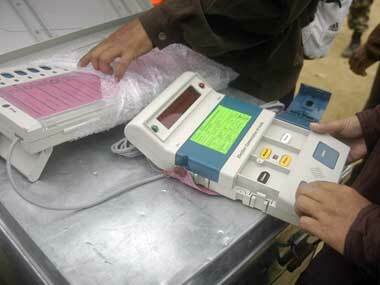 This happened because of the incompetence and apathy of election officials," Dhar said. Dhar said he came to know of technical glitches in EVMs-VVPATs at around 520 polling stations through his party's polling agents, and demanded a probe. The CEO earlier said that 191 (6 percent) VVPATs and 89 (5 percent) EVMs malfunctioned across the state during the polling on 18 February. Tripura Pradesh Congress vice-president Tapas Dey, without naming the Bharatiya Janata Party (BJP), said that the officials of Election Commission and the state election department were biased in favour of a particular party. 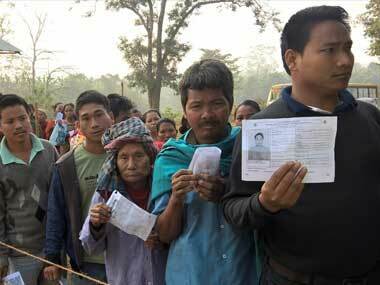 Over 92 percent of Tripura's 25,36,589 voters cast their votes in Sunday's peaceful elections in 59 of the 60 Assembly seats, setting a new record in the electoral history of India. In the 2013 and 2008 assembly polls, Tripura registered 92 percent and 91 percent voting, respectively.